Fantastic guide and tour We were picked up at the hotel and taken to spectaular sights, plenty of rest room stops and lunch was amazing variety including vegan. Prebook your blue lagoon to arrive sooner, or get the company to send a voucher. It is unmissable and exceptional! Returned to hotel feeling terrific. 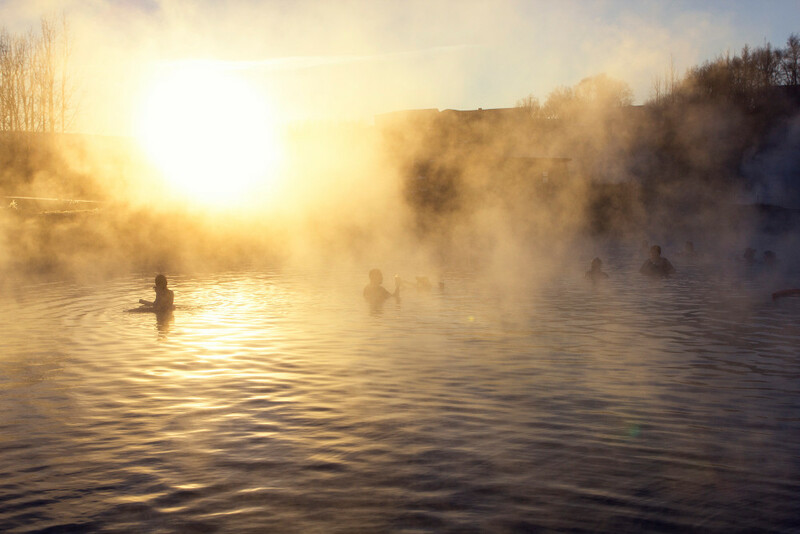 On this tour around the Golden Circle, we will confront the raw power of the Icelandic nature in south-west Iceland before finishing up with a magical soak in the Secret Lagoon, a quiet hot spring located in the small country village of Flúðir. 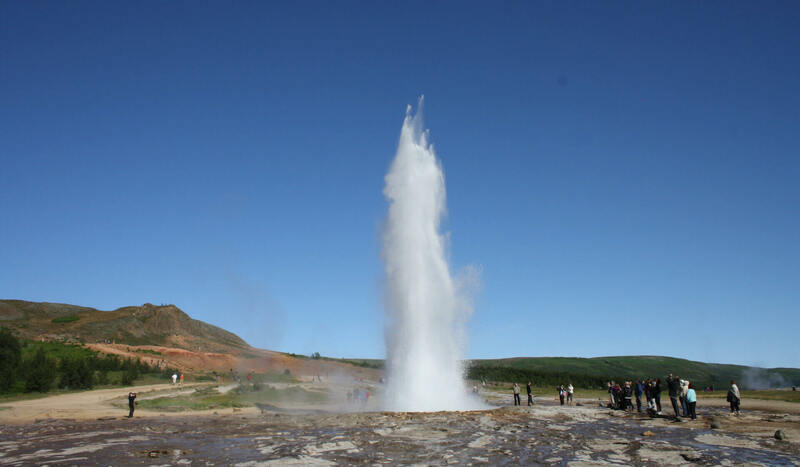 With plenty of time to explore the natural wonders encountered along the way, guaranteed small group, and local guide who takes the roads less travelled, this is assured to be a tour you won’t forget – especially as it takes place during the quieter afternoon and evening time, truly the best time to enjoy the stunning sights in this part of Iceland. 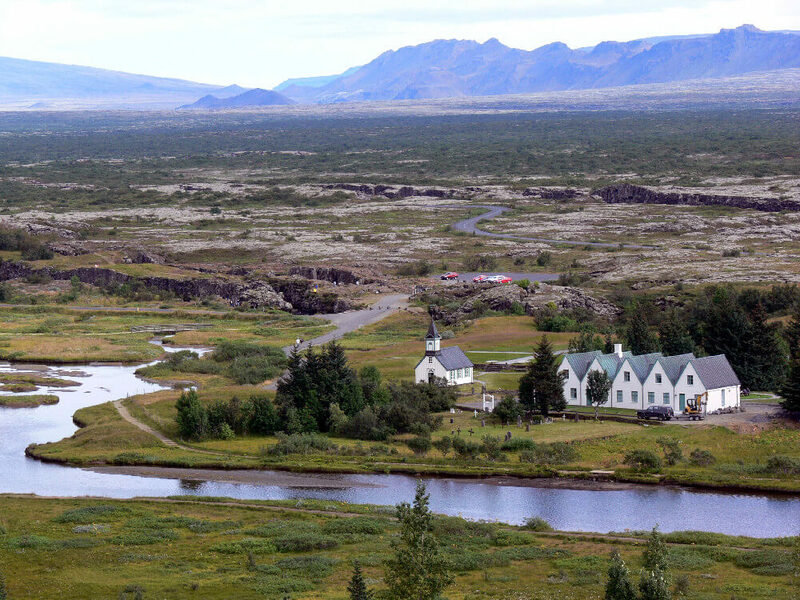 The first stop on the tour is Þingvellir National Park, where you can witness the primordial power of a country in the making by walking between two tectonic plates that are slowly inching apart. 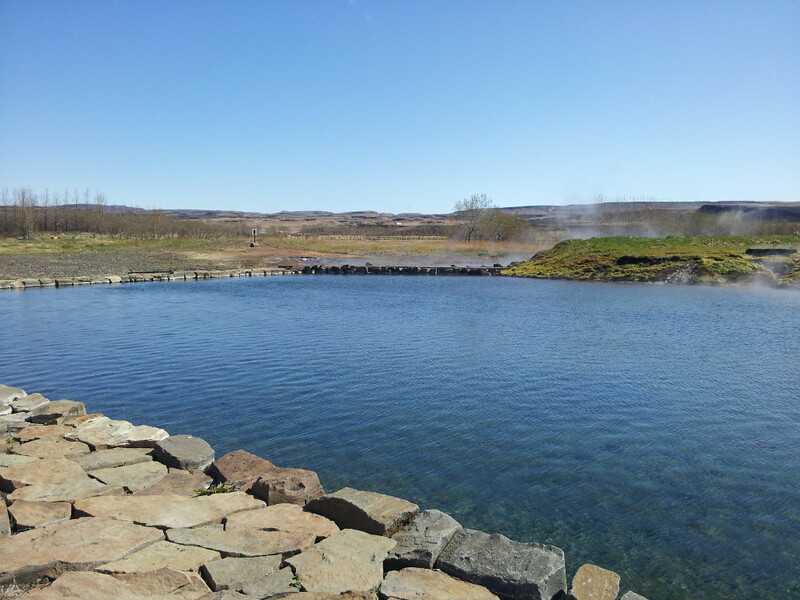 From Þingvellir, the tour makes its way into Haukadalur Valley, an exciting area full of hot springs that’s home to the second stop along the Golden Circle, Geysir. 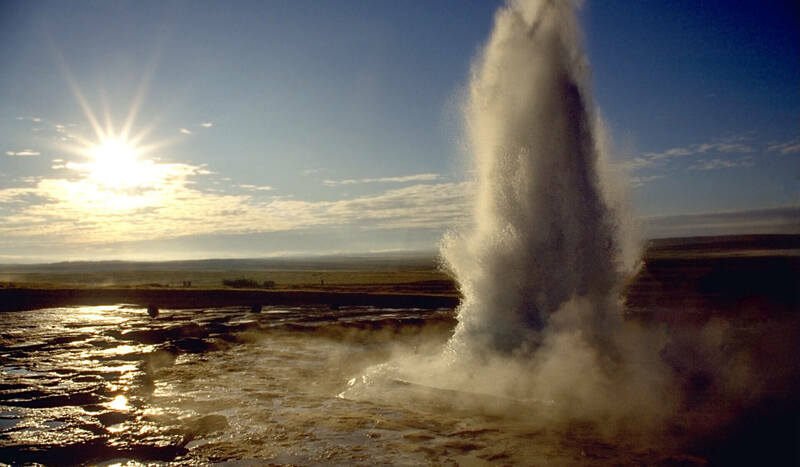 While the area’s namesake Geysir isn’t so active anymore, it’s fierce little brother Strokkur is exactly the opposite; every 4-5 minutes it bubbles up and explodes in a plume of water that shoots up 20 meters into the air. 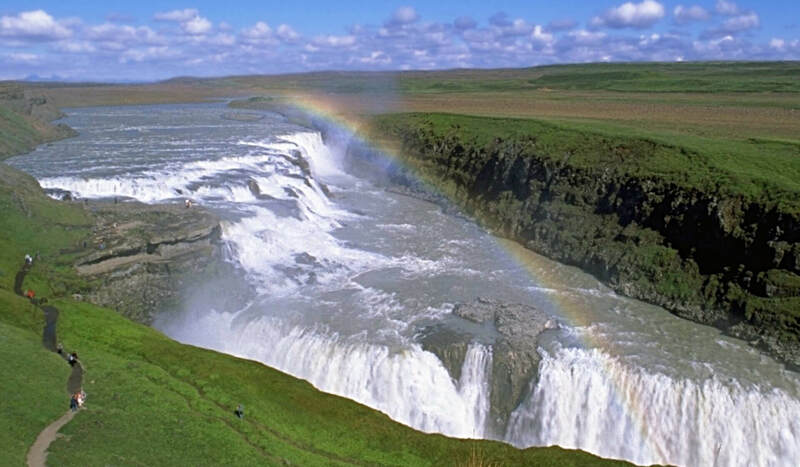 The final stop on the Golden Circle is the most majestic – Gullfoss, or the Golden Waterfall. At the very edge of the desolate Icelandic highlands, Gullfoss thunders down two sets of cliffs, plunging 32 meters into the canyon below where it disappears in a shroud of mist. 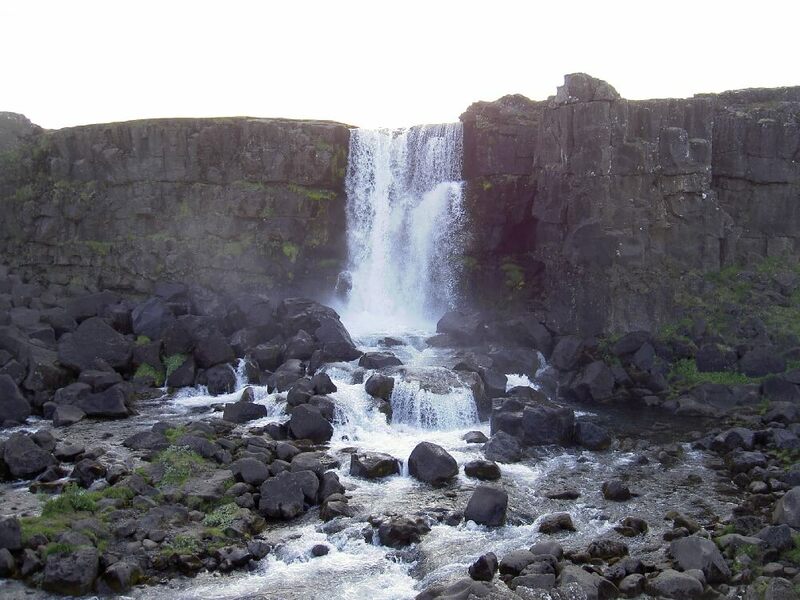 The waterfall runs along the river Hvítá which originates from the glacier Langjökull and is no doubt one of the most beautiful sights in Iceland. After Gullfoss, we make the short drive to the small country village of Flúðir, an agricultural town that specializes in the growing of mushrooms in its greenhouses. It’s here where you can find Gamla Laugin, or the Secret Lagoon, a historic and natural pool that serves as the perfect place to unwind after the days adventures. 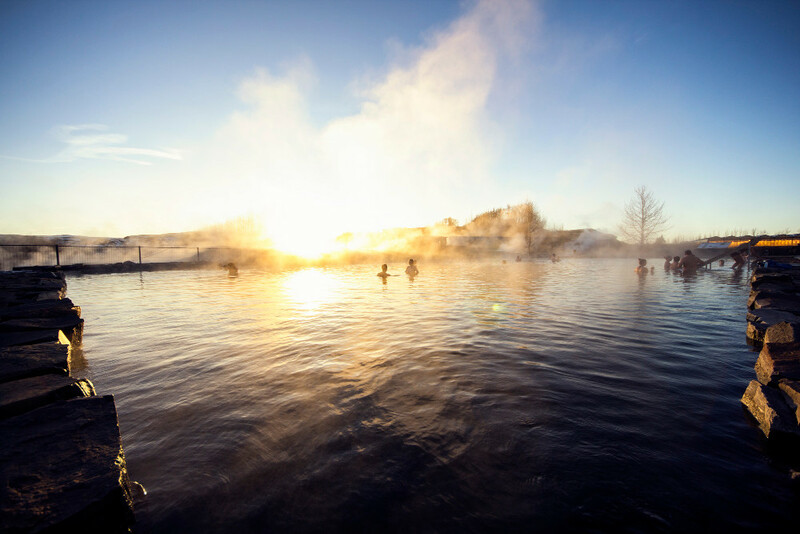 A boardwalk circles through the surrounds allowing guests to get up close and personal with the geothermal hot spots, and you can even admire a small geysir that gently erupts while you soak in the 38-40°C water (100-104°F). Opened in 1891, the Secret Lagoon is the oldest swimming pool in Iceland, a historic place where kids learned to swim between 1909 and 1947. After falling into a state of disrepair in the second half of the 20th Century, it has since been reinvigorated and renovated into the magical pool that you find today, without losing any of its natural charm. This unique tour makes the most of the stunning light conditions of Iceland during the afternoon and evening. In the summer, you can witness the sun igniting along the horizon as it dips below before quickly rising again, creating an unforgettable atmosphere as the bus travels back to Reykjavík. And during the winter months, keep your eyes peeled for the elusive northern lights dancing across the sky as darkness descends, daggers of green light shimmering and waving in an awe-inspiring display. PLEASE NOTE! PICK UPS STARTS 30 MIN. EARLIER. Minimum occupancy is 4 persons. 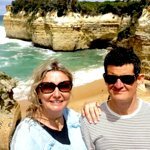 If minimum occupancy is not reached, we can offer the same trip with our partners on a slightly different schedule but usually the same day.